The Big Frederick Gaming Convention (or BFGcon† for short) is a geeky convention happening in 2018 that includes Board Games, Magic the Gathering, Tabletop RPGs, Miniature War Gaming, and much much more.‡ (Plus a special musical guest!) We don’t want this to just be another board game event where friends get together for a weekend to play. (Not that there is any problem with that!) But we want this to be a full-fledged con where all types of gamers are welcomed, multiple tournaments and events take place, and where we create a full experience for the attendees instead of just an open space for gaming. In chatting with some friends and explaining what we wanted, one remarked: “Oh, you want to bring GenCon to Frederick!”. Yes, that probably sums it up fairly well. We are sure we won’t be ‘quite’ that big the first year, but that’s the goal. We plan on supporting all types of geeky initiatives, having some nerdy musical concerts, and also trying to bring in some special guests. We want this to be an awesome event for the entire region to enjoy. 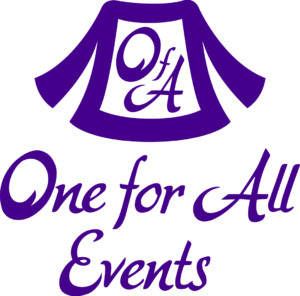 It’s being run by a team of gamers who happen to own an event business: One for All Events. We run between 2-7 conferences for computer programmers each year and own all our equipment. Our tech events are regularly between 300-800 people. We’ve decided that we want to bring our skills to the gaming con arena, and provide a professionally executed event. †While officially BFGcon stands for Big Frederick Gaming Con, we love the variations that people have come with, it can mean whatever you want it to! It might be the Big Frederick Gaming Con, the Big Friendly Gaming Con, the Big Family Gaming Con, or possibly the Big F***ing Gaming Con.